Specialty grip waxes that combine the best properties of klisters and synthetic grip waxes. 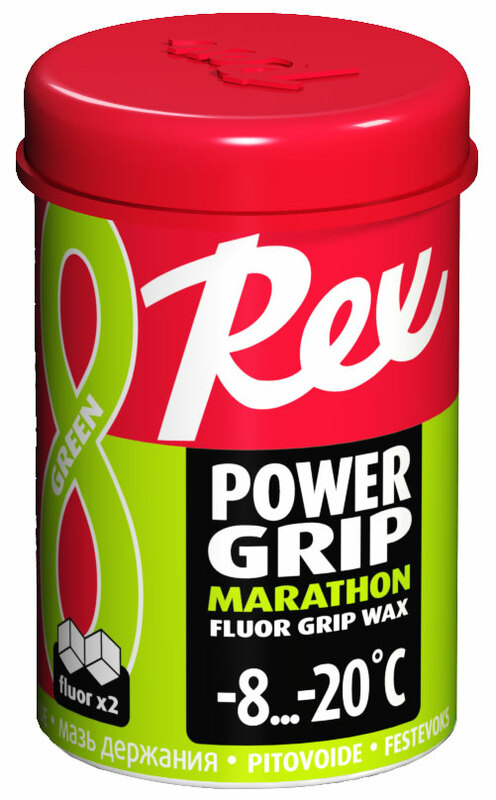 Ideal for marathon skiers and long distances due to their outstanding durability and ability to adjust to prevailing conditions because of their thermoreactive ingredients. Compared to our Pro Grip -series, PowerGrip offer more aggressive grip. Apply with a heat gun, hair dryer or waxing iron. One good layer is enough without base wax. Smooths out really nice when warm using a thumb. When the tracks are hard and glazed but it's still not a full-on klister weather, PowerGrip is a good choice! For icy, glazed, coarse, and extremely hard tracks. In temperatures around 0°C it can be used instead of klisters. For new and falling snow apply a thin layer. One of the best grip waxes on the market. Extremely durable for all icy, glazed and old snow conditions. For new snow, apply a thinner layer. Works also relatively well on moist snow. The king of PowerGrip waxes! 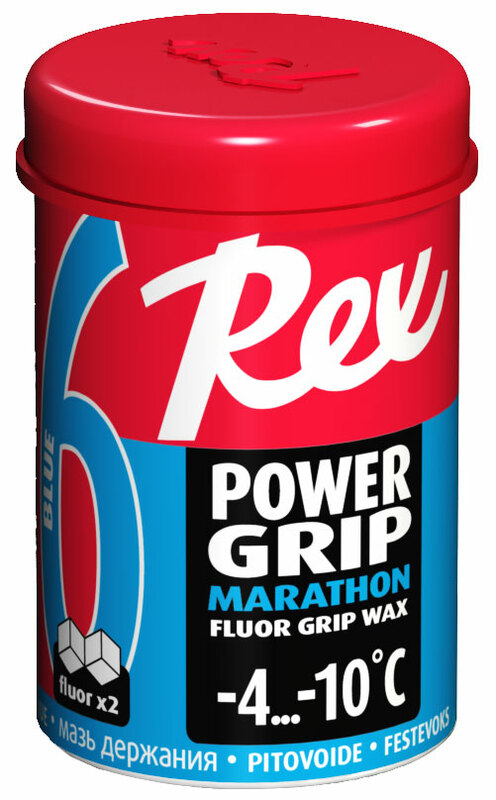 An unbeatable grip wax for cold conditons. Same properties as on PowerGrip Blue, but for colder temperatures. Excellent base wax for racing.